On Wednesday, Attorney General Eric Holder testified in front of the House Judiciary Committee about the recent scandals plaguing the Obama administration. Unfortunately, the Committee and America did not learn very much because Holder apparently does not know much about what happens in Washington, D.C. The AP claims the Department of Justice violated their constitutional rights when they obtained two months of phone records of reporters. 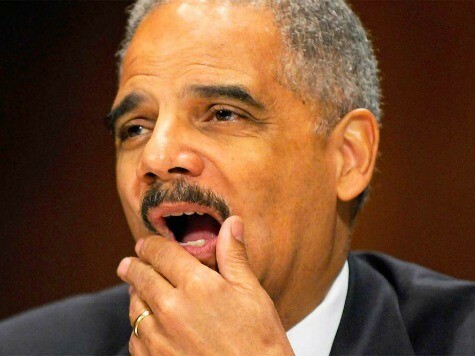 When asked about the scandal, Holder claimed ignorance and that he was not part of the decision-making process. He did defend the effort to subvert the press, saying the DOJ wanted to find who leaked information to the AP about a CIA operation in Yemen to stop an airliner bombing plot around the anniversary of Osama bin Laden’s death. On Tuesday, Holder recused himself from the investigation into the AP scandal and told the committee it was because he had the leaked information. He could not give the exact date he recused himself and he never put it in writing. It took quite awhile for him to receive confirmation it was Deputy Attorney General James Cole who signed the subpoena for the AP phone records. Representative James Sensenbrenner (R-WI) suggested the Committee ask Cole to testify, but he would not be able to answer anything about an ongoing case. This frustrated Sensenbrenner because it appears no one in the DOJ holds responsibility. “That is inappropriate and is too consistent with the way in which you conduct yourself as a member of Congress. It’s unacceptable and it’s shameful,” Holder told Issa. Rep Jason Chaffetz (R-UT) could not understand why the DOJ did not share information about this investigation with President Obama. Holder claimed there was not an immediate danger to national security, but Chaffetz reminded Holder that Senator Dianne Feinstein (D-CA), chairwoman of the Senate Intelligence Committee, said the leaks did endanger some lives. Even then, Holder could not provide a good answer why the president was not informed. And finally, the Department should announce whether it has served any other pending news media-related subpoenas that have not yet been disclosed. CNN, The New York Times, and NPR are only a few who signed the letter.